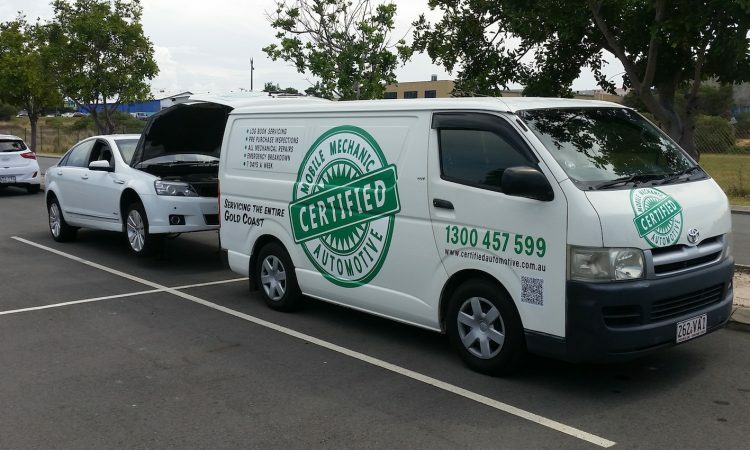 It is hard to beat the convenience of a mobile mechanic for your vehicle’s servicing or repair. The mechanic shows up at your home or office, you give him the keys, and a couple of hours later, your car or motorcycle is ready. To make sure the scheduled service or repair is expedited and concluded without a hiccup, here are a few things to keep in mind. So you have booked your mobile mechanic to service your vehicle. First of all make sure that you have shared the right contact details, and that you have specified additional instructions should your location be a bit tricky to find. On the day of the service, make sure you keep your phone nearby so the mechanic can arrive at your place easily enough. Another very crucial detail is that the mechanic needs to know the exact make and model of your vehicle, down to the trim level. The mechanic will have planned ahead and ordered and taken along the parts necessary to service your vehicle. If there is a miscommunication between you and him, it will result in a delay in performing service at the least. In the worst case, it could lead to service needing to be rescheduled for a later date. Although not really necessary, having a detailed service history at hand can help the mechanic figure out what the car (for brevity’s sake) needs faster. It is pretty obvious that a mobile mechanic isn’t carrying around a spare workspace with him. This is where you come in. Locate a good spot where your car will be serviced. Ideally, it should be covered in case of rain or sunlight bothering the proceedings. The mechanic should be able to get to the spot and park his van next to your car. If you don’t have a garage, carport or driveway, arrange to use a neighbour’s. A carpark will also do, but it should not be a busy one- such places are not safe environments to work in. Some mechanics might agree to working on your car by the roadside, but that should always be a last resort if other options are not available. Asking the mechanic about his inclement weather policy beforehand is also a good idea. If your service is scheduled first thing in the morning, the mechanic will mostly be there on time, give or take a few minuted consumed in traffic or navigating to your location. If you have scheduled service later in the day, there could be delays due to a previous job taking longer than expected, or having to travel long distances between jobs. Are you going to be there when the mobile mechanic arrives? If not, you should discuss the matter of the car keys (where to get them from and keep them once the job is done) with the mechanic beforehand, so that even if you are called away on an emergency, your car will get serviced. This can be easily sorted out through communicating clearly with the mechanic beforehand. Ask him what forms of payment he can accept. It is best to know your options so that there is no awkwardness at the end of the job. Again, if you are not available when the mechanic wraps up the service, make prior arrangements for payment. Do not be flustered in this area, for some mechanics can generate an invoice for you on the spot, while some need to get back to their office to complete the paperwork, and then post or mail you the receipt. In conclusion, arranging for the services of a mobile mechanic is an easy, convenient affair. However, if you put in a little effort from your side, the entire process from booking the mechanic to getting a receipt becomes much smoother, saving both the parties time and money. Remember, clear communication is the key to a great servicing experience.